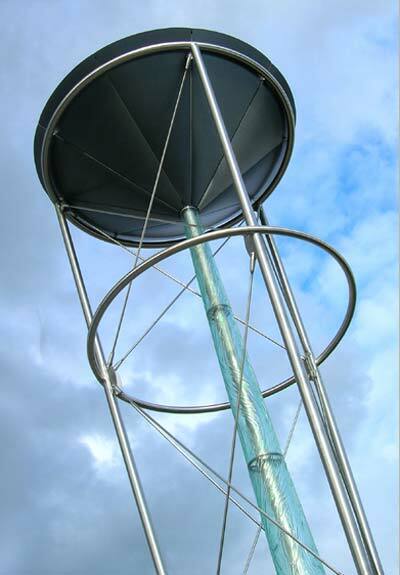 The Rain Funnel functions as both a landmark for the area and a symbolic headwaters for the bioswale water garden. 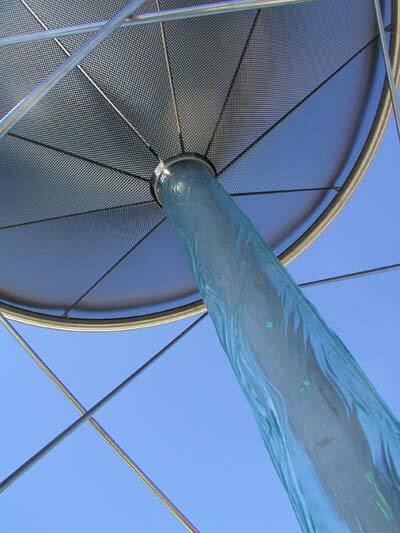 Rain collects in the funnel and flows down the exterior of the glass column into a shallow pool at the head of the b ioswale. 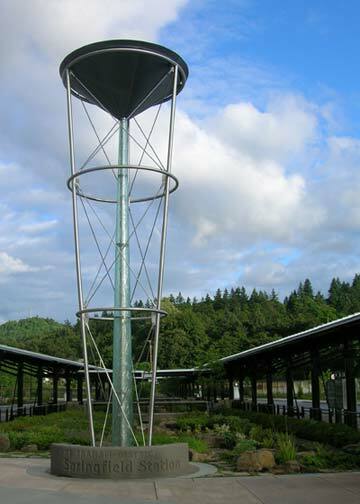 Glass for the Rain Funnel was created in collaboration with Mayer/Reed, Portland, Oregon, landscape architects and PIVOT Architecture, Eugene, Oregon, project architects. Fabrication and installation in collaboration with FireArt Glass Inc.